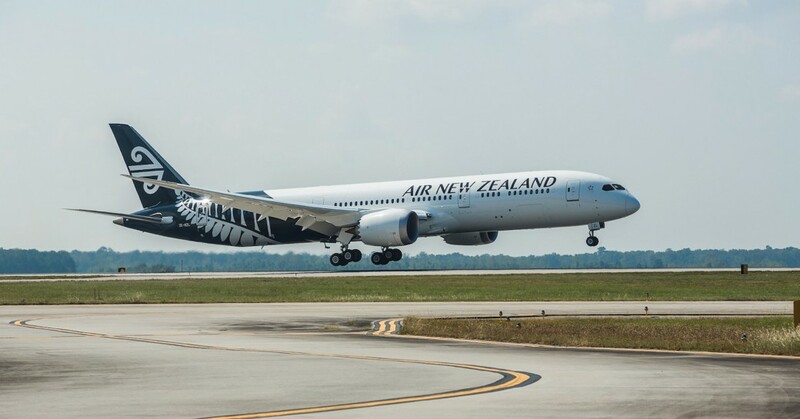 Air New Zealand has announced today its earnings before tax for the 2018 financial year of $540 million, which is an increase from $527 million last year - the second highest profit in the airline’s history. Chairman Tony Carter praised the strength of the result, which demonstrates the airline's resiliency, "This is an impressive financial result, driven by strong revenue growth across the airline's key markets, as well as continued focus on sustainable cost improvement, despite significantly higher fuel prices. "The ability of the airline to achieve its second-highest profit in such a challenging environment really speaks to the focused strategy and unique competitive advantages that Chief Executive Officer Christopher Luxon and his leadership team have spent years building," says Mr Carter. In recognition of the robustness of the 2018 result, the Board has awarded staff bonuses of up to $1,800 to be paid next week to approximately 8,500 Air New Zealanders who do not have other incentive programmes as part of their employment agreement. Mr Luxon acknowledged the impact of external disruptions on the airline's operational performance and thanked both customers and staff for their loyalty and support. "While we are very proud of the financial achievements of the 2018 financial year, I want to acknowledge the patience and loyalty of our customers who have been impacted by operational disruptions while travelling with us this year. These disruptions have resulted in a level of service for some that did not meet the high standards we set for ourselves. "We do not take our customers' choice to fly with Air New Zealand for granted and remain focused on making improvements across all touch points of their travel journey," says Mr Luxon. "The adjustments to our schedule will essentially free up two widebody aircraft enabling us to provide greater schedule certainty for customers. This will include adjusting weekly frequency on our Buenos Aires and Taipei services, as well as seeking to retime our flights to Tokyo's Haneda Airport. We are confident that these proactive steps will result in better reliability for our customers," says Mr Luxon. 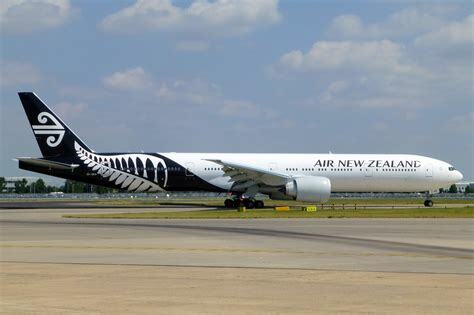 2019 promises to be an exciting year for the airline and its customers, as Air New Zealand will offer more cheap fares than ever over the next year as domestic jet capacity grows by three to five percent and regional turboprop capacity grows by five to seven percent. "One of the benefits of a growing Air New Zealand is more opportunities than ever for Kiwis to snap up a bargain. In 2019, we will offer more than 2.9 million seats for travel in New Zealand for under $100," Mr Luxon says. This year will also see the launch of new direct services to Chicago and Taipei commencing in November, new services to Brisbane from both Wellington and Queenstown beginning in December, as well as a new third daily service added to the Auckland-Singapore route in partnership with Singapore Airlines. The airline is expecting to receive delivery of 10 Airbus A320/321 NEO aircraft, which will provide continued growth and cost benefits to the Tasman and Pacific Islands network. Air New Zealand will be the first airline to fly the Airbus NEO in Australasia. Two Boeing 787-9 aircraft with increased premium cabin space and next generation Rolls-Royce TEN engines will also join the fleet. Anticipating continued future domestic network growth, Air New Zealand has announced capital expenditure for seven Airbus A321 NEO aircraft, with phased delivery expected from 2020 to 2024. The additional aircraft will be deployed on high demand routes to support further domestic growth. Equipped with new generation engines and approximately 25 percent more seats, the A321 NEOs are expected to deliver fuel savings and efficiencies of up to 15 percent compared to the airline's existing A320 domestic aircraft, helping to reduce carbon emissions. Air New Zealand's Pacific Rim growth strategy has allowed for consistently profitable network expansion over the past five years, with 17 million passengers a year travelling on the airline compared with 13 million back in 2013. The airline is focusing on continued investment in regional lounges, customer contact centres and inflight products and services to enhance the customer experience. Mr Luxon said the airline sees positive demand signals in the short term, with strong forward bookings heading into the peak summer season and passenger growth expected to continue its upward trajectory. "Looking out over the next two years, the airline is expecting to grow by one million customers a year, reaching 19 million customers by the end of 2020," says Mr Luxon.